Our long-running UC Berkeley series “Conversations with History” turns its attention south of the border with host Harry Kreisler’s wide-ranging, intimate conversation with Vicente Fox, former President of Mexico. As he always does during his unique interviews, Kreisler delves not only into his guest’s public life, but the factors that helped shape him. President Fox shares his formative experiences, including the influence of his ancestors and teachers, his work as a businessman, and the factors that led him to enter politics. Discussing his Presidency, Fox analyzes the problems of governing in a country simultaneously riding a democratic revolution and the transformations brought about by the new wave of globalization. He also discusses the issues of immigration and drugs and how both impact the future of U.S.-Mexican relations. 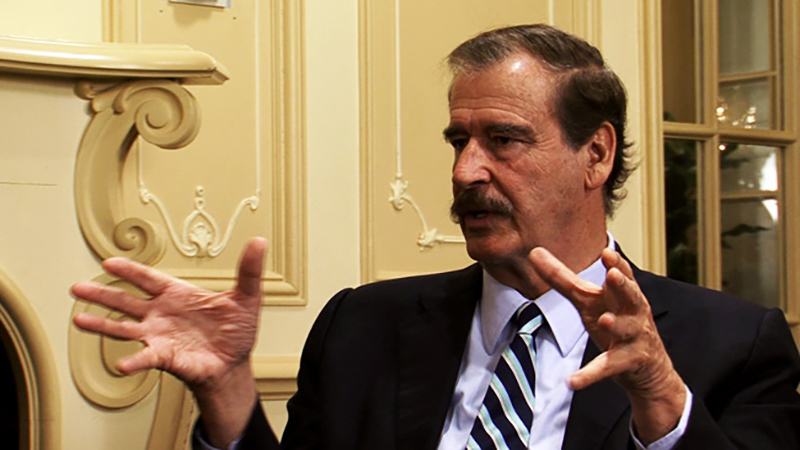 Watch “Conversations with History: Revolution of Hope — Vicente Fox, Former President of Mexico,” online now. And browse through the tremendous archive of Harry Kreisler’s interviews, going all the way back to 1982!